For Sale By Owner, Agent, Or We Buy Houses Investor? Have you been thinking about selling your Phoenix house but don’t know whether you should work with a real estate agent, try selling it by yourself (For Sale By Owner), or sell to a trusted local investor? Should You List With an Agent, Sell FSBO, or Sell to an Investor? So if you’re considering should you list with an agent, sell FSBO, or sell to an investor, the good news is, you can get a great answer right here and be on the path to selling your house very quickly. Should You List Your House With A Real Estate Agent? 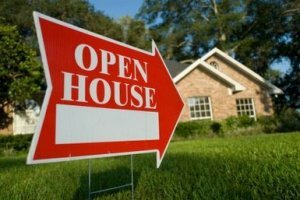 It can be rather passive and uninvolved to let the agent handle the details and just sign paperwork, communicating with your agent when necessary while they do the busy work. You might save some money and time versus selling FSBO because you won’t have to market your property or pay for marketing materials. An agent often has a list of potential buyers (or access to a list) so they can sometimes find people to buy for you rather quickly. Agents have learned many tricks of the trade to help you sell – open houses, social media campaigns, and giveaways. You won’t have to negotiate with potential buyers, because your agent will handle the negotiations. You don’t have to be an expert at the contracts and agreements involved in the house-selling process. Your real estate agent will walk you through what you need to know. No need to understand the laws of selling a house and financing which can be quite complicated. The agent will either take care of that for you or guide you appropriately. It’s not necessary to worry about knowing the steps of the selling process. Your agent is experienced at what you need to do and they will let you know what steps to take. Traditional real estate agents and transactions are great yet you will be surprised how selling to Phoenix Home Buyers Group may net you the same amount. The biggest issue with trying to sell with a real estate agent or selling it yourself is often times retail buyers will tie up a home for weeks and pull out of the deal in the end, or worse, the bank loan will fall through at the last minute. At Phoenix Home Buyers Group we work differently. We will provide you a fair all-cash offer on your house within 24 hours of submitting the short property info form below and can close when you want to close. If the house is in terrible shape and you don’t want to (or can’t) fix it up, no problem. We’ll deal with it for you. If you need to sell your house quickly, we can close in as little as 7 days, because we buy houses with cash and don’t have to rely on traditional bank financing. Should You Try to Sell Your House Yourself, FSBO? FSBO means “For Sale By Owner” and it means that you sell on the market (the same place an agent would sell) but you don’t use an agent; you represent yourself. The biggest advantages to selling this way is that you can name your own price, decide who to sell to, negotiate on your own behalf (if you like to do that), and not have to pay the real estate agent’s commission at the end. If you are considering listing your home “for sale by owner,” there are several things that you will need to think about. This process can provide you with a number of benefits along the way. Here are some of the advantages of selling your house without the aid of a real estate agent. If you are planning on selling your house with a real estate agent, you will have to get used to the idea of paying the agent a large commission. She is going to take a certain percentage of the entire price of the sale. In most cases, this will be a substantial amount of money. A typical real estate commission is about 6 percent. If a house sells for $200,000, this would amount to $12,000 in commission. By simply doing the work yourself, you can keep this amount of money in your pocket. You need to determine if having someone else handle the process of selling the house is really worth 6 percent of the value of your house. If you do not think it is, selling your house on your own is the way to go. When you are selling a home, you will need to be flexible in order to allow people to see the property. When you are handling the process by yourself, this will be easier. When you use a real estate agent, you also have to worry about her schedule. The real estate agent is going to handle the appointments and the open houses for you. She will be able to do this only when it is convenient for her. Since she will most likely be working with many other clients at the same time, the time that she has available may not always be convenient for you. If you cut out the middleman, you will have to worry only about your schedule and the schedule of the potential buyers. When you sell your house with a real estate agent, you will very rarely get to speak to the potential buyers. You will most likely be gone when the house is being shown, and the real estate agent will handle the communication for you. If you list the house for sale by owner, you will be able to communicate directly with the potential buyers. For sale by owner sellers (FSBO) have more devices at their disposal than ever before. Previously, you’d have to post a For Sale sign on your lawn, take out ads in the newspapers and real-estate circulars, put the word out to everyone you knew, maybe host an Open House, and then sit back and hope for the best. You couldn’t get your property listed in the Multiple Listing Service (MLS), the marketing tool brokers use to share listings with each other in order to match buyers with sellers. The FSBO seller was definitely at a marketing disadvantage. But recently, new real estate services have cropped up mostly online — including Zillow, BuyOwner, ForSalebyOwner.com and FSBO.net among others — catering to the FSBO market. For relatively small fees, you can reach hundreds of potential buyers by posting your property online and including color pictures and 360-degree virtual tours. It’s even possible to get listed in the MLS for a flat fee through some of these services, though they may require you to be willing to pay a 2 to 3 percent buyer’s agent commission. For those who want to sell fast and not pay any fees, or who may have a house in “as-is” condition that they don’t want to pay to fix and clean first, you might want to sell to an investor or professional house buyer like Phoenix Home Buyers Group. For Sale By Owner Or “We Buy Houses” Companies? Which is Better? The two most critical factors when selling your house are time an money. If you need to sell your Phoenix house in a hurry, there are local professional home buying companies who pay cash for homes in Phoenix, AZ. 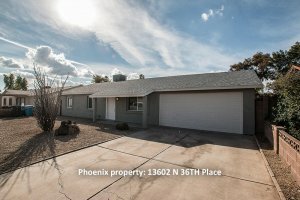 Let’s discuss how you can sell your local Phoenix house fast and get cash for your house without having to list your house with a real estate agent, or wait months for it to sell. When you are faced with a difficult choice about selling your home, and when you need to sell fast, you should consider what is more important to you, a full retail price offer – even if it takes months to achieve? Or a fair offer within 24 hours for an all cash sale within 7 days or less. If you are thinking of selling your Phoenix home fast for cash, Phoenix Home Buyers Group can help you sell fast and close as soon as you’re ready. As you might suspect, it is not easy to get the full market value for your home if you are selling it fast on cash. To get the full market value of your house, you may have to wait 3-6 months or longer, and often you will need a real estate agent to market your house to find you the best buyer. So you need to decide if the risk is worth the wait. Most often, local Phoenix house buyers like our team will evaluate your house, determine the value if it was fully fixed up, determine how much we’ll have to invest in repairing and renovating the property and how long it will take. The investor also will have to turn a small profit for their risk in buying the house, renovating, and selling it, so they tend to make offers that are below the full retail market value. We can close quickly (in as little as 7 days if you need us to) so if selling your house fast with zero hassle at all is more important than getting every penny out of the sale, then we may be the trusted Phoenix Home Investor you’re looking for. We like to make sure every house seller we work with knows all of their options, and we even encourage you to get other offers and shop them around. We won’t be offering the lowest price in town, and we often won’t offer you the highest price. But you can be assured that when we make you an offer, we’ll follow through with what we say I’ll do and deliver a fair all-cash offer in 24 hours. What to Do When You Want To Sell Your Phoenix Home Fast! Contact us now for a quick, no obligation offer for your home. Avoid the hassles of listing your home, paying commissions, and having endless showings! Stop having your contract get cancelled at the last minute by untrustworthy people. When you are deciding For Sale By Owner or Trusted Phoenix Investor, you can’t afford to make a lot of mistakes! You can sell your home directly to us, and negotiate your best deal possible! I pay cash for your Phoenix home, I take it as is, and pay all your closing costs! We take 100% of all of the work and hassle to sell your house off of your hands. We offer cash for houses in Phoenix, AZ because we’re professional home buyers based locally here in Phoenix. If a house needs work, I’ll buy it as-is and we’ll pay for the repairs it needs out of our pocket after we buy it from you. And you won’t have to worry about the paperwork either. We’ll get it all created at a reputable neutral party closing agent in town of your choosing or we can recommend the ones we’ve used for years. Before you decide to go with an investor offering cash for your property, be sure to investigate their reputation carefully. Consider asking for references from the investor. Talk to people the investor has worked with in the past to determine whether they are the right fit for you. Make sure to do your research, talk to them and make sure you can trust them, and that they can actually close on the offer they made you on time. We take our reputation seriously and are glad to answer any questions you have about us, how the process works, and how we can help you sell your home quickly for cash. Call us today at (602) 833-7812 for an immediate cash offer on your Phoenix, AZ house.